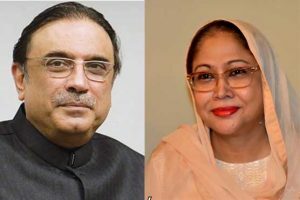 FIA Summoned PPP Co-Chairperson And His Sister Faryal: The Federal Investigation Agency (FIA) has summoned former president and Pakistan Peoples’ Party (PPP) co-chairman Asif Ali Zardari and his sister Faryal Talpur on July 11 over the issue of alleged illegal transactions of billions of rupees. FIA issued notices to Asif Zardari and Faryal Talpur, ordering to record their statements. FIA will investigate the issue of large transactions in the accounts of Zardari and Faryal Talpur. Earlier, Supreme Court (SC) had ordered to place the names of former president and Pakistan Peoples’ Party (PPP) co-chairman Asif Ali Zardari, his sister Faryal Talpur and others in the Exit Control List (ECL). The top court has also summoned the PPP co-chairman, his sister and others on July 12. Supreme Court also summoned the seven fake bank account holders and 13 beneficiaries on July 12. 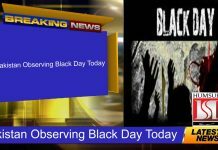 Asif Zardari, Faryal Talpur, Tariq Sultan, Erum Aqeel, Muhammad Ashraf and Muhammad Iqbal Arain are among those who were issued notices to appear before the top court on the given date.